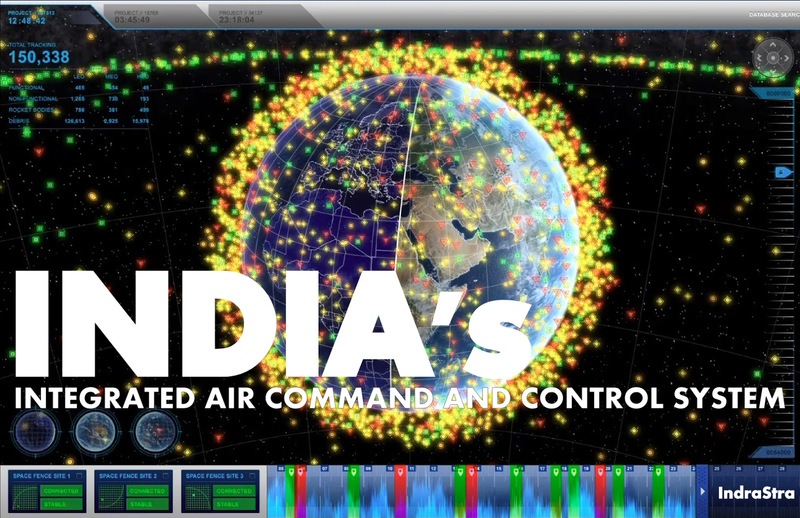 Integrated Air Command and Control System (IACCS) is an automated Air Defense Command and Control center for controlling and monitoring of Air Operations by Air Force. In the network-centric warfare era, Recognized Air Situation Picture (RASP) information plays a very critical role and is required to be made available at the appropriate level for executing a series of tactical decisions. These levels are strategic level (Air Headquarter), Operational level (Command Headquarter) and Tactical Level (Divisional level). The information sharing involves sharing of the critical data through dedicated links among Navy, Army and Civil Radar network also. 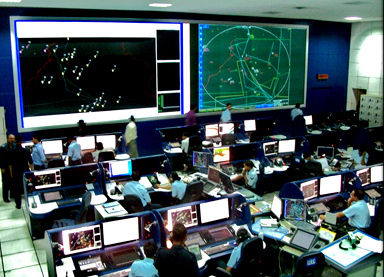 The IACCS system receives data from different types of homogeneous/ heterogeneous radars (2-D or 3-D), generate reports from mobile observation posts and integrates other data elements from various other Air Force Airbases or Civilian agencies viz Air Traffic Control, Air Force Movement Liaison Unit including airborne AWACS etc. to create real-time comprehensive Recognized Air Situation Picture (RASP) at IACCS Command & Control Centre (C & C Centre). The connectivity of sensors/agencies from/to the IACCS - C and C Centre is deployed on a wide area network based on IP protocol. On September 14, 2010, the Indian Air Force launched its much-awaited digital information grid, AFNET, signifying a new era of communication and information in the IAF. AFNET replaces IAF’s old communication network using the troposcatter technology of the 1950s and marks a major step towards becoming a net-centric combat force. AFNET is a dedicated fiber-optic wide area network that offers up to 500 MBPS encrypted, secure bandwidth. It incorporates the latest traffic transportation technology in the form of IP (Internet Protocol) packets over the network using Multi-Protocol Label Switching (MPLS). A large VoIP (Voice over Internet Protocol) layer with stringent quality of service enforcement facilitates robust, high-quality voice, video and conferencing solutions. Integrated Air Command and Control System (IACCS), an automated command and control system for Air Defence (AD) operations, will ride the AFNET backbone integrating all ground-based and airborne sensors, AD weapon systems and C2 nodes. Subsequent integration with other services networks and civil radars will provide an integrated Air Situation Picture to operators to carry out AD role. All major formations and static establishments have been linked through a secure Wide Area Network (WAN) and are accessible through data communication lines. Decision-makers can now get intelligence inputs (for example, live video feed from UAVs, geoint images from AWACS etc.) from far-flung areas at central locations seamlessly. As of September 2015, five years after the deployment of AFNET - The Indian Air Force has already established 5 nodes of the IACCS in the western sector facing Pakistan at Barnala (Punjab), Wadsar (Gujarat), Aya Nagar (Delhi), Jodhpur (Rajasthan) and Ambala (Haryana) with help from government-owned defence contractor - Bharat Electronics Limited. The 4 new major nodes and 10 new sub-nodes will come up under Phase-II of the IACCS project. While 3 nodes will be deployed in eastern, central and southern India, the fourth is meant for the strategically-located Andaman and Nicobar Islands archipelago in the Bay of Bengal, watching over Malacca Strait. The primary objective to deploy such an integrated solution derived from all airborne and ground-based civilian and military radars around the country is to ensure any intrusion by a hostile aircraft, helicopter, drone or micro-light can be detected and tackled as soon as it takes place. It has been speculated, some of the new nodes will be located in underground complexes to improve survivability at the time of enemy attacks, even as the entire IACCS infrastructure is also being upgraded with advanced early-warning, jam-resistant radars and the like. This particular command was established by previous Indian government under Dr. Manmohan Singh as Prime Minister, which basically leverages on various space technologies including satellites. Unlike an aerospace command, where the air force controls most of its activities, the Integrated Space Cell envisages cooperation and coordination between the three services as well as civilian agencies dealing with space. 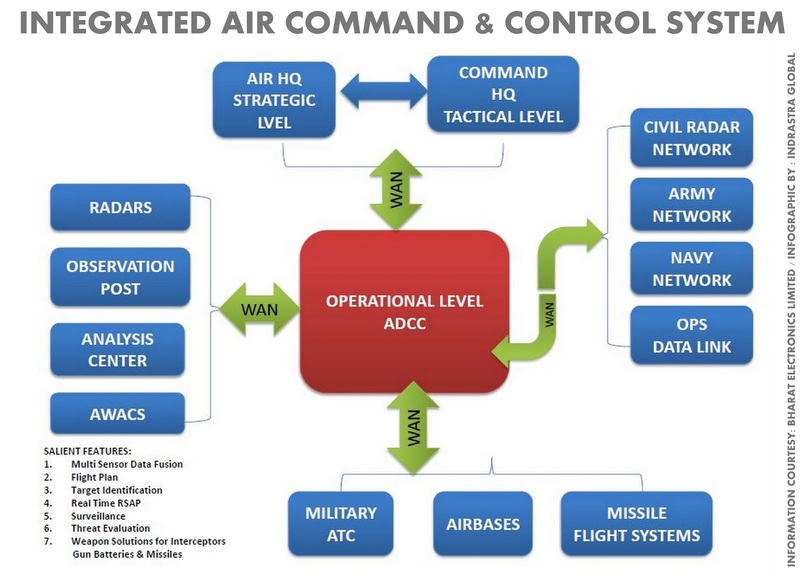 A strong and a deterrent Integrated Air Command and Control System (IACCS) plays a very important role in this command by funneling RSAP information and directing it towards the required terminals of approved elements. Within the next 5 years, IACCS is going to enable high situational awareness for all warfighters and the battle commanders even at “remote from the battlefield” locations. Also, The IAF would, in 10 years, be moving towards dynamic targeting of its ordinance. It would be in the process of developing the capability to data link with, say a missile in flight, to reassign its target or modify its attack profile on the fly. Being a state-of-the-art technology-driven organization, the IAF has been in a state of transformation since the day of its inception. However, the speed of technological advancements has led to greater emphasis on its current transformation. When we look at IACCS and it's aspects - this transformation share the common characteristic of being tailor-made to make the IAF more efficient and effective in the execution of the combat roles.